Ansel Easton Adams, the only child of Charles Hitchcock and Olive Bray Adams, was born on February 20, 1902, in San Francisco, California, near the Golden Gate Bridge. In 1906 an aftershock from the famous earthquake of that year threw him to the floor and gave him a badly broken nose. His father, a successful businessman who owned an insurance agency and a chemical factory, sent him to private, as well as public, schools. Adams was shy and self-conscious about his nose and had problems in school. He received only an eighth-grade education, preferring to learn mainly through following his own interests. From a young age he enjoyed the outdoors, taking many long walks and exploring. the next few summers working as a caretaker in the organization's headquarters in Yosemite Valley. Later in life, from 1936 to 1970, Adams was president of the Sierra Club, one of the many distinguished positions that he held. In the 1920s Adams was spending as much time as he could in the Sierra Nevada, hiking, exploring, and taking photographs. He became friendly with leaders of the Sierra Club, had photos and writings printed in the club's official publication, and became more involved with the conservation movement. He even met his wife, Virginia Best, in Yosemite. They were married in 1928 and had two children. In 1930 Adams met the famous photographer Paul Strand (1890–1976) while they were working in Taos, New Mexico, and the man and his work had a lasting effect on Adams's approach to photography. Strand encouraged Adams to change his approach from a soft expression of subjects to a much clearer, harder treatment, so-called "straight photography." This idea was further reinforced by his association with the short-lived, but important, group of photographers known as f/64 (referring to the lens opening which guarantees a distinct image), which included Edward Weston (1886–1958) and Imogen Cunningham (1883–1976). This group helped the development of photography as a fine art. In one sense Ansel Adams's work is an extensive record of what is still left of the wilderness, the shrinking untouched part of the natural environment. Yet to see his work only as photographic images is to miss the main point that he tried to make: without a guiding vision, photography is not necessarily an important activity. The finished product, as Adams saw it, must be thought up before it can be executed. With nineteenth-century artists and philosophers (seekers of wisdom) he shared the belief that this vision must be inspired by life on earth. Photographs, he believed, were not taken from the environment but were made into something greater than themselves. 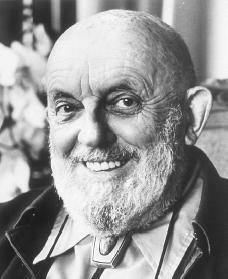 Ansel Adams died on April 22, 1984. During his life he was criticized for photographing rocks while the world was falling apart. He responded by suggesting that "the understanding of the … world of nature will aid in holding the world of man together." Adams, Ansel and Mary Street. Ansel Adams: An Autobiography. Boston: Little Brown, 1985. Alinder, Mary Street. Ansel Adams: A Biography. New York: Holt, 1996.